My photography gear has been subjected to such nonsense, it has filed for legal separation. It has been dropped down elevator shafts, run over by cars, drowned in downpours, fallen out of windows… and the list goes on. So what is the point of telling you all of this? Not to make you think I’m a clutz, although there is maybe a little bit of truth to that ;-), but because I hate the word “passionate.” You’ll find it on just about every photographer’s “about me” that you read. Because I hate “selling” people on how much I love what I do… you’ll see it in the images from your day… but I have to write something here. So this is me, in my own words, describing what a single photograph means to me. So, if you want someone who is so enthusiastic about creating amazing art for your wedding he/she is willing to risk life and limb for a “shot,”, look no further. If you don’t have four legs and a tail, don’t expect a hug from me. If there’s no way I’ll ever use it, I collect it. I’m a man of few words, but everyone who hears me speak either wants to adopt me or marry me. I pity the poor fool who tries to date my daughter – the only exception to the four legs and a tail rule. If one of my DVDs gets out of order, I’ll stop on my way to the bathroom to move it back… I blame the Marine Corps for making me this way. For every mushy word I refuse to say, I show with my actions, making my wife the most spoiled woman in the world. Part of my job at weddings is to keep her from being run over by cars, horses and crazy dancers. 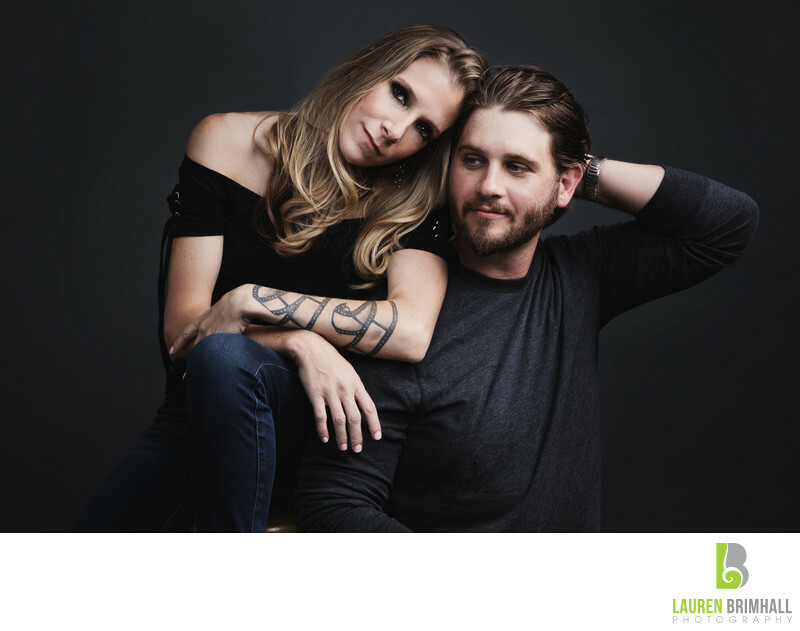 Lauren Brimhall Photography (LBP) is based out of Atlantic City, NJ and been in business since 2009. Lauren has shot close to 200 weddings and is a top award-winning photographer in the state of New Jersey on Fearless Photographers, International Society of Professional Wedding Photographers (ISPWP), Wedding Photojournalist Association (WPJA), Wedding Photography Select and many more. 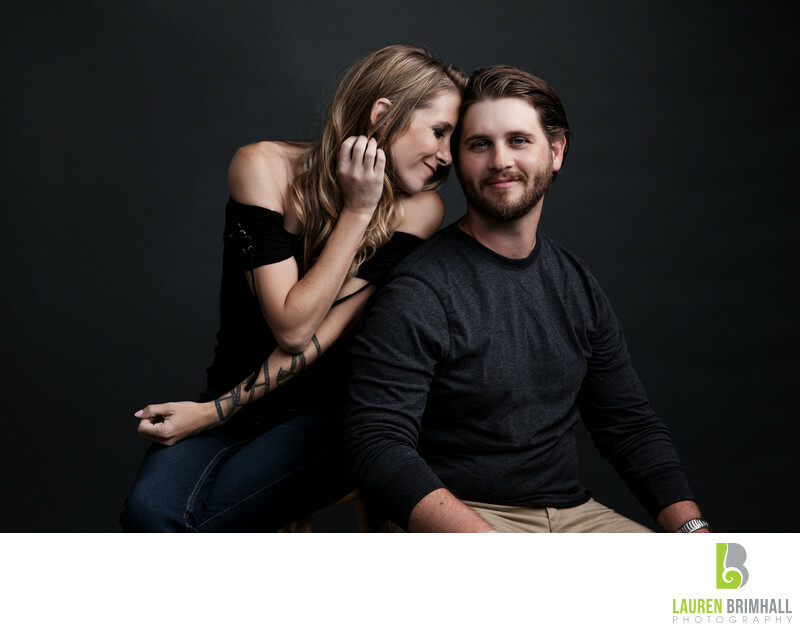 Sean and Lauren's work has been featured on numerous well-known blogs and in printed magazines, including on the cover of Rocky Mountain Bride Magazine, the Knot Magazine, New Jersey Bride Magazine, and Exclusive Bride’s Magazine (Australia). Our style is focused on capturing, not just the “key” moments, but the “little” moments that will clearly illustrate to future generations, not just where you were on your wedding day, but WHO you were, all in a fun and creative fashion. We also have a fine appreciation for lighting and a penchant for producing the occasional “epic” bride and groom portrait.